Honor has unveiled the Honor Play, a phone that uses the company's new "GPU Turbo" tech to offer enhanced mobile gaming performance. The GPU Turbo technology is built on hardware-software integrated GPU acceleration, which changes how the GPU handles graphics processing. This means better multi-thread performance and, as a consequence, faster gaming and improved power efficiency. 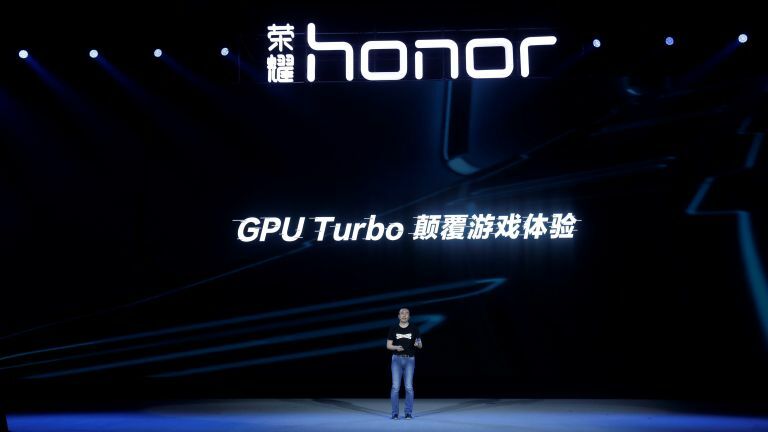 According to Honor, the GPU Turbo graphics processing means that efficiency is improved by 60 per cent, and energy consumption by 30 per cent. And, in news that will no doubt please existing Honor phone users, Honor has also confirmed that GPU Turbo is set to come to the Honor 10, Honor View 10, Honor 9 Lite, and even the Honor 7X in future updates. Indeed, according to Honor, its initial tests have shown that even its mid-range devices have seen their gaming performance improved dramatically by GPU Turbo, so it would seem that it's not only the Honor Play that will benefit from the technology. The Honor Play itself looks like a capable piece of hardware. A 6.3-inch 1,080 x 2,340 LCD screen is partnered with a Hisilicon Kirin 970 processor, 6GB of RAM, 64GB of storage space and a 3,750mAh battery points to a device that, especially with GPU Turbo, should deliver smoking hot mobile gaming experiences and all-round performance benchmarks in general. The Honor Play with GPU Turbo should provide stiff competition for the Razer Phone, which impressed T3 as a mobile gaming device very much in our review, as well as Asus's recently announced ROG Phone. The Honor Play at top spec is available to pre-order now in China for $375, with models shipping from 11 June. There's no official news yet as to when the Honor Play is to launch in the UK, or at what price, but we're guessing a Q3 release date sounds reasonable.